When a teenager goes to school and doesn’t come home at the end of the day, it, no doubt, raises questions for any parent. 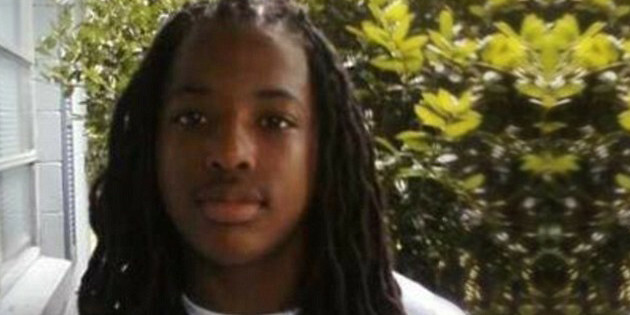 But, 17-year-old Kendrick Johnson’s parents learned of a terrible fate for their son this past January. Johnson was found dead in a wrestling mat at his Georgia high school. But, what has remained unclear is the cause of death. Recently, this issue entered the public psyche when the parents’ open questioning of the coroner’s handling of the case drew nationwide ire. According to authorities, Johnson’s body was found in the school gym rolled in a wrestling mat. They reportedly claimed that Johnson fell into the rolled mat when reaching for a sneaker and got stuck. They claim that he suffocated when he wasn’t able to escape the mat. The family has always suspected that the findings were flawed. Now, the Johnson family is seeking further investigation into their son’s death with the help of attorneys Chevene King and Benjamin Crump. They appeared on Al Sharpton’s MSNBC show PoliticsNation last week and have been making their rounds to publicize this very unique case to as many people as possible. They are demanding answers, and they certainly deserve them. Last week, footage was released which undermined the original coroner’s findings. It showed Johnson in the gym with other students (who probably would have seen him fall into a wrestling mat and suffocate). It also had footage taken from 36 cameras all of which were crystal clear except for the one pointed squarely at the wrestling mat when Johnson’s body was found. The images from the most important camera was blurry and there were missing time codes on some of the footage. King and Crump have noted these issues as an obvious conspiracy to cover up something. Johnson’s parents believe their son was murdered, and they are hoping that their efforts will result in justice for their son. The US Attorney in Macon, Georgia has officially opened an investigation into the case given that there are obvious holes in the story from authorities. This is such an interesting case because it appears that there was an attempt to pull wool over the parents’ eyes in the findings from the coroner’s report. How would they have know about a sneaker if the footage was blurry? How would Johnson have suffocated if the gym had other students in it? Why was the body moved before the examination fully transpired? One has to wonder why the parents weren’t notified immediately. All of these questions must be answered. In all, the findings in this case just do not match the common sense rationality of all those involved.Hopefully the truth is borne out in the US Attorneys investigation. These parents deserve at least that. Previous story Shooter’s Lawyer Calls Renisha McBride’s Murder “Justified.” Right.